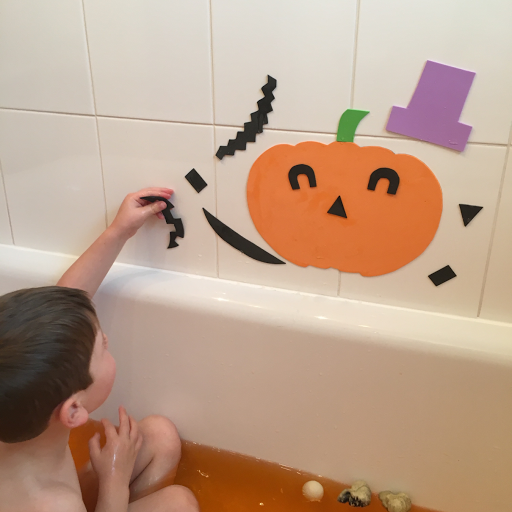 Bathtime used to be a really fun time in our house, T loved his baths and I made them as fun as I could. Then... he discovered showers and his baths were a thing of the past! 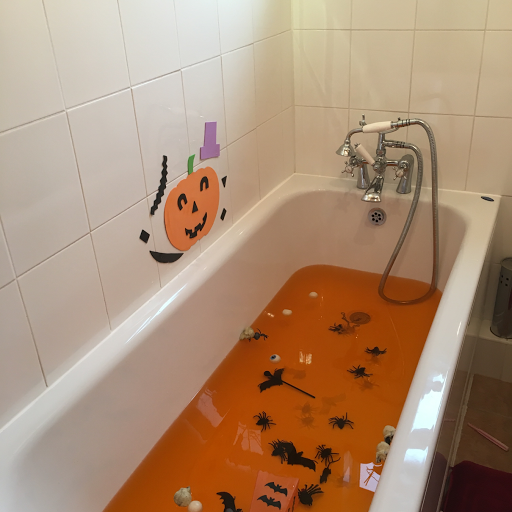 I first make him these pumpkin bath stickers when he was 2 but when he wasn't feeling well this week and I made him a Halloween sensory bath to to cheer him up I added these too to make it a bit more fun. I was surprised at how much he liked making the pumpkin faces, talking about if they were happy or sad, friendly or scary. It would be quite useful for a small child who finds it difficult to talk about their feelings or for encouraging children to talk about their day. We used: I've added in links to the products I used for this post, if you use them I receive a small commission from Amazon. 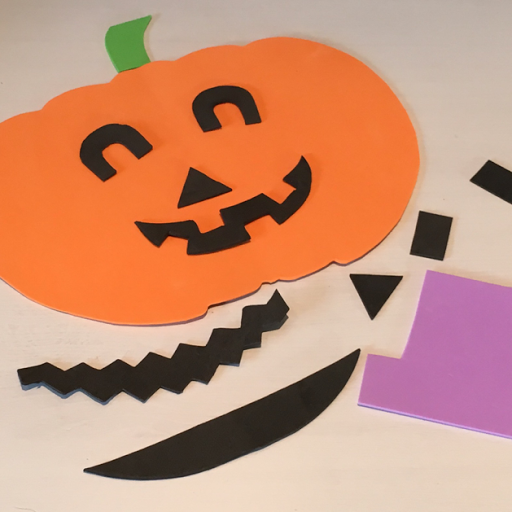 Craft foam is so easy to cut out so in no time we had a few different shapes to construct faces on our pumpkin. 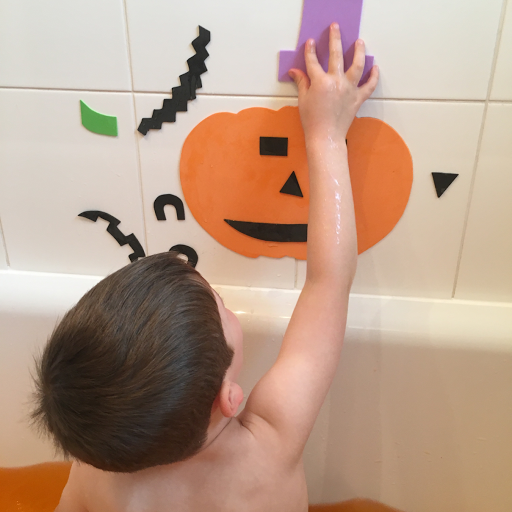 T loves the way that the foam sticks to the tiles and stays in place. If you would like to use my pumpkin template, you can download it here. up the face. 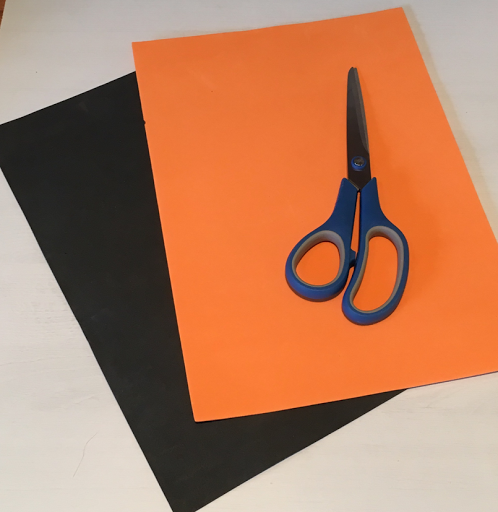 Blindfold the child and see if they can place the face parts in the right places or even use it as a reward system, making the face day by day to earn their reward. 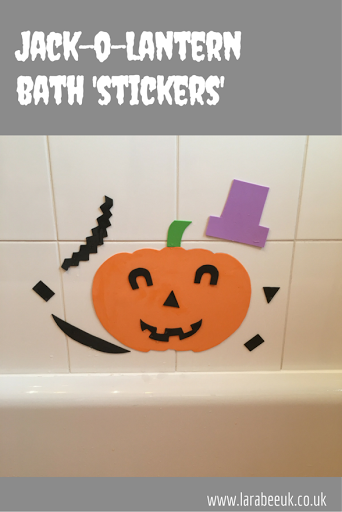 You don't need to stick to the bath for these stickers, they will also stick to windows and kitchen appliances with a little water applied to the back. If you make your own version, I'd love to see it!